Donald Mustard, creative director of Epic Games, is going to make a big announcement on Thursday. "Fortnite Battle Royale" players are less than three days away from a new season of the popular video game. Season 6 concludes in less than 70 hours, and season 7 will start immediately after it. 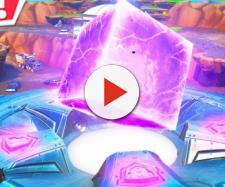 Epic Games are going to release the new season on Thursday, December 6, and many players are eagerly waiting for it. According to all the hints we have seen so far, this is going to be one of the biggest seasons in the video game. While the new season is definitely the biggest news in the "Fortnite" universe these days, it turns out that its developer is preparing something else for its fans. There is going to be a big announcement by Epic Games' creative director on the same day the new season drops, and we cannot wait to see what it's about! In addition to that, players are advised to be close to the game, which means we can expect another big event! Geoff Keighley, producer, and creator of The Game Awards, posted a very interesting tweet on December 3. He revealed that Donald Mustard, creative director of Epic Games, is going to make a big announcement on Thursday, December 6. The announcement will happen during the live stream that will start at 9 PM eastern time, or 6 PM Pacific Time. "And oh yeah, keep your game close. #WorldsWillChange," is what Keighley added to the tweet. Considering that the announcement will be made at 9 PM, there is a chance that season 7 won't start by then. While most of the "Fortnite Battle Royale" updates are released at 4 AM eastern time, this might be different. Since players are advised to be close to the popular video game, we expect another event to happen inside of it. The event could be as big as the butterfly event that happened earlier in season 6. Furthermore, it appears that "Worlds Will Change" will be the motto of season 7. After all, the in-world will indeed change as there is going to be a snowy area in it for the first time, so it makes sense. The iceberg is slowly approaching the in-game island and there is no doubt it will arrive by the time season 7 starts. The iceberg brings a castle and it appears that players will be able to do some skiing in this snowy area. 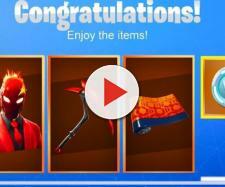 The first teaser image for the next season has shown us a character who is skiing, which is why we believe that this is going to be a feature in season 7. Many exciting things are waiting for us in less than three days, and we can't wait to see all of them!